How to Plan a Wedding. Now that you've recovered from the delightful shock of your engagement, take a deep breath, grab a notebook and your address book, and then let the countdown to the Big Day begin! 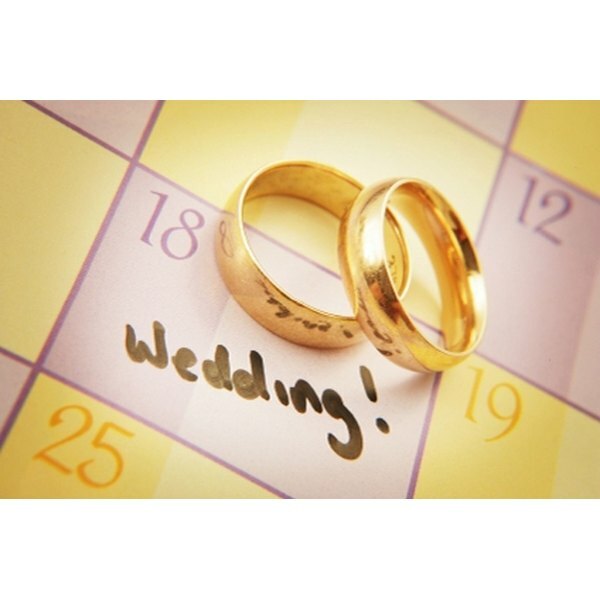 Planning a wedding isn't easy, but with organization, time, focus and vision, you can plan the wedding of your dreams. Envision your wedding from beginning to end. Where and when have you dreamed the wedding would take place? How formal would you like the event to be? What will the wedding party wear? What kind of food would you like to serve? Set a budget--one that is functional and provides for some flexibility. Here is where you must combine fantasy with practicality. Ask friends and family to recommend a reputable jeweler. Order your engagement and/or wedding rings. Book the wedding and reception sites. Meet with the officiant of your wedding. Now is the time to be clear about rules and restrictions regarding the ceremony and ceremony site. Select your wedding attendants--your wedding party can be as big or small as you like. Choose a dress and wedding attire for the rest of the wedding party. Make a guest list. You may have to compromise on the number of guests if your budget is limited. Plan your pre-wedding parties, ceremony, reception and honeymoon--consider menus, decorations, favors and music. Interview and hire vendors: wedding coordinator, photographer, video professional, caterer, florist and entertainment. Check state requirements for obtaining a marriage license, and find out how long the license will remain valid. Take care of the rest of the paperwork, from ordering invitations to signing up with gift registries. Ask your parents early on in the planning stage for their input. Be kind to yourself and your betrothed--this can be an extremely stressful time. Keep a notebook to fill with things like swatches of fabric, notes and vendor contracts. Be sure to take time away with your partner and give attention to your relationship.